This genre defining luxury off-roader remains a hugely desirable choice, but buy one used with care, as it will be an expensive car to own and run. 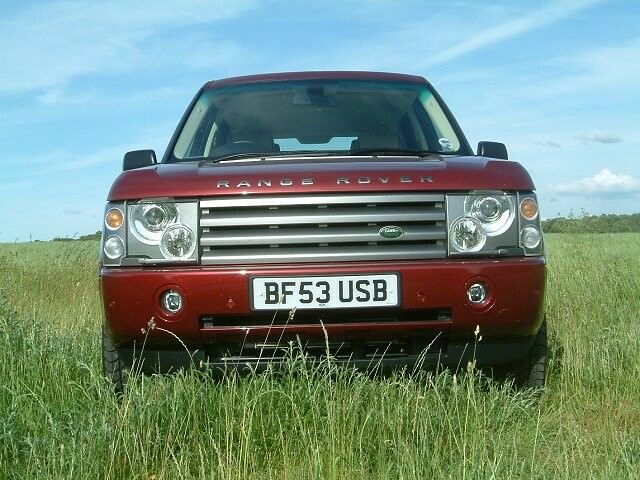 If you can stomach the running costs then nothing beats the Range Rover for presence and ability on and off-road. Reliability might cause problems, so seek out cars with warranties. Despite the original Range Rover being introduced back in 1970 the current car is only the third generation of the model. It is the definition of the luxury off-roader though, a go-anywhere machine for wealthy farmers or urbanites wanting its enormous status. It’s so iconic it’s almost a brand in its own right today, as Land Rover’s luxury sub-division. Amazing off-road and surprisingly able on it, the Range Rover is an incredible, if expensive, machine. This third generation Range Rover was introduced in 2002, making it one of the oldest models competing in the luxury off-road marketplace. All those BMW X5s, Audi Q7s and Mercedes-Benz MLs are mere pretenders to the mighty Range Rover’s throne, it being the car that started the class - and still defines it. The stately driving position and sumptuously appointed interior make for a luxurious drive, yet despite this the Range Rover retains its core value as a hugely accomplished off-roader. There’s only one body style, a five-door, though the engine line-up offers some choice. Two engine options existed from 2010, with a 4.4-litre TDV8 turbodiesel and 5.0-litre V8 on the price lists - that petrol V8 featuring a supercharger just in case you’re not getting through fuel quickly enough. Since 2002 there have been a number of other engines under its clamshell bonnet, with a 2.9-litre turbodiesel and 4.4-litre V8 from 2002 to 2006, a 4.2-litre supercharged V8 petrol and 3.6-litre turbodiesel all featuring in the Range Rover since it was introduced. Trim levels are fairly simple, with Vogue coming well specified and Autobiography even more so. All are automatic, with early cars having five speeds and the latest fitted with eight-speed units. The 4.4TD V8 is the engine of choice, but it’s so new it’s both scarce and still at nearly-new prices. That means the 3.6-litre TDV8 is the one to have, in Vogue specification. That’ll mean a 2007 to 2010 registered car with the six-speed automatic. Equipment levels will be extensive, with leather seats, alloy wheels, air conditioning and electrically adjusted seats. • Interior feeling old now.